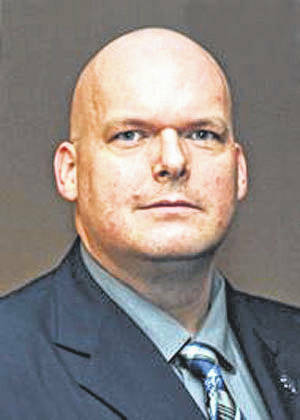 TROY — At-large council member William Lutz announced he will campaign for the office of president of Troy City Council on Friday. Marty Baker, the current current council president, announced recently that she will be vacating the seat at the end of the her term effective Dec. 31, 2019. “President Baker deserves this community’s thanks and respect for her long service as a diligent and responsive leader of our community, both as a Second Ward representative and as President of Council. It is in the same spirit of her leadership that I am announcing that I will campaign to be the next City Council President,” Lutz said. Lutz was elected as one of three at-large candidates for Troy City Council in 2017. He also served on the Troy City School board for one year. He currently serves as the executive director of The New Path Inc. organization, a position he has held since 2014. He previously served as a development program manager for the city of Piqua from 2006-2014. “Over the last 11 months, I have worked extremely hard with other members of our council, our city administration, and most importantly, our residents to create collaborative solutions to our city’s most pressing issues. The results have been very positive; a new downtown overlay zoning district which has created new opportunities for downtown residential and commercial development and our council has frozen our refuse collection fees,” Lutz said. To learn more about Lutz and his campaign, visit www.williamlutz.org. Declarations of candidacy for partisan candidates must be filed by 4 p.m. Feb. 7, 2019, before the May 8 primary. Write-in candidates must file by Feb. 26. Deadline for voter registration for the May 8 primary is April 9, 2019.